I am not sure what the nutritional information for a pumpkin milkshake is, or a pumpkin smoothie for that matter, but a smoothie at least SOUNDS better for you. Don't you agree? Plus 'smoothie' makes it sound like you should have it for breakfast. 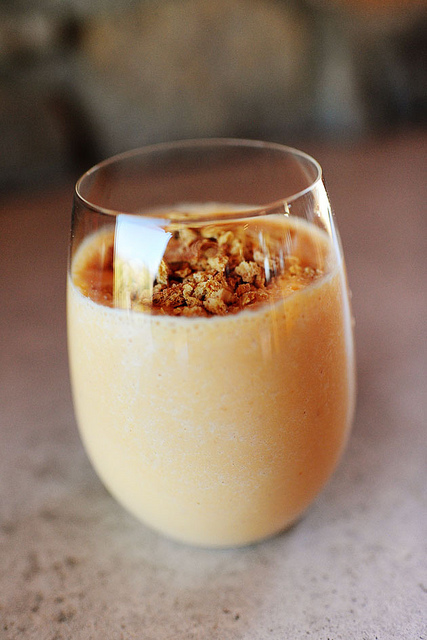 So if you are in the mood for pumpkin pie for breakfast, you can get the recipe for this pumpkin smoothie over at The Pioneer Woman Cooks.